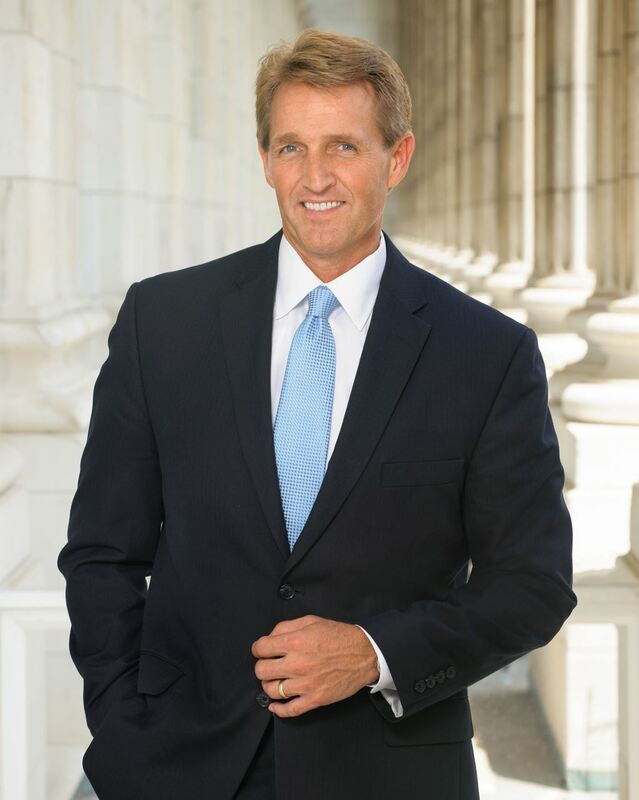 Senator Jeff Flake is a fifth-generation Arizonan who was raised on a cattle ranch in Snowflake, Arizona. Snowflake was named in part for Senator Flake's great-great grandfather. Prior to his election to the U.S. Senate, Jeff served in the U.S. House of Representatives from 2001-2013 representing the East Valley. As a member of the U.S. Senate, Jeff sits on the Judiciary Committee where he also serves as chairman of the Subcommittee on Privacy, Technology and the Law, the Energy and Natural Resources Committee where he also serves as chairman of the Subcommittee on Water and Power, and the Foreign Relations Committee where he also serves as chairman of Subcommittee on African Affairs. After serving a Mormon mission in southern Africa, Jeff graduated from Brigham Young University, where he received a B.A. in International Relations and an M.A. in Political Science. In 1987, Jeff started his career at a Washington, D.C. public affairs firm, but soon returned to Africa as Executive Director of the Foundation for Democracy in Namibia. In this role, Senator Flake helped monitor Namibia's independence process and saw that nation usher in freedom and democracy. In 1992, Jeff and his family moved back to Arizona where he was named Executive Director of the Goldwater Institute. In this role, Jeff worked to promote a conservative philosophy of less government, more freedom, and individual responsibility. Jeff and his wife, Cheryl, live in Mesa and have five children. U.S. Sens. Jeff Flake (R-Ariz.) and Deb Fischer (R-Neb.) today led a letter from 18 senators to U.S. Trade Representative Robert Lighthizer stressing the positive economic impacts of NAFTA as the administration considers taking a fresh look at the trade agreement.